On a quiet evening, a path through thick bluebonnets leads back to the car and the long drive home. 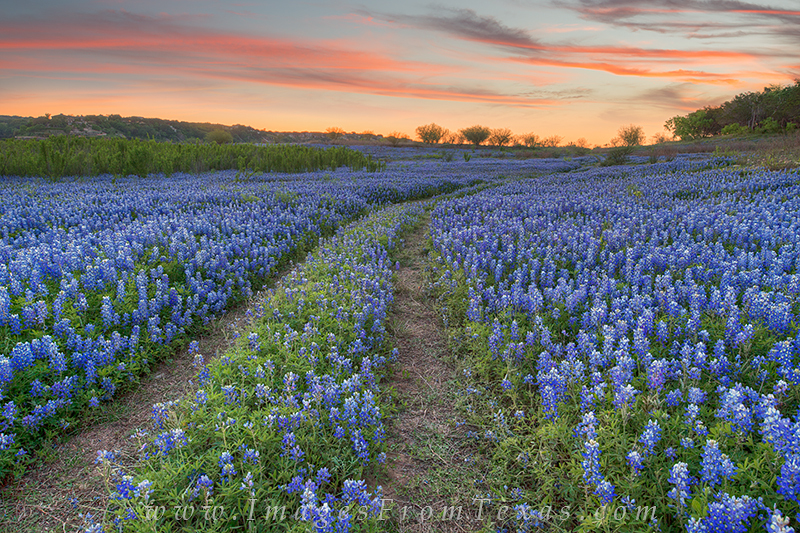 Evenings like this I cherish the time spent amid the wonders of a Texas Hill Country spring. Photo © copyright by Rob Greebon.